How much sugar do you eat per year, per day? High sugar intake is a major contributing factor to many modern diseases including diabetes, obesity, heart disease and Alzheimers. Thats right, even Alzheimers, which is now being referred to as type 3 diabetes. These diseases have grown exponentially over the last century, along with our sugar intake. In the 1700s the average individual yearly consumption of sugar was four pounds, in the 1800s it was eighteen pounds, and in 2010 the average intake of sugar per person was one hundred and fifty to one hundred and eighty pounds of sugar per year. 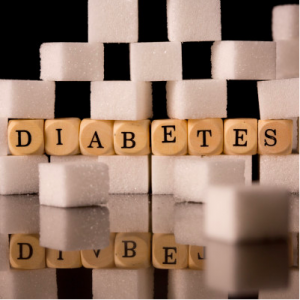 77% of Americans ages 65 and older are diabetic or pre-diabetic. If that isnt enough information to make you think twice about that cereal bowl, studies have shown that the size of the human brain is smaller in those with consistently high blood sugar. No one wants a smaller brain, just as no one wants to develop heart disease, or dementia, but our standard American diet (S.A.D) provides just that and more! Do your daily food habits include skipping meals, substituting caffeine as a meal, eating carbohydrates without fat, protein, or fiber, or eating sugary-based snacks? Are you lacking in the exercise department, overeating, or eating large starchy meals? Do you drink soda, eat grain-based cereals, or eat most of your meals out? I became interested in nutrition the moment I realized that my symptoms of fatigue, nervousness, lack of concentration and foggy memory were related to my diet. For years I had eaten a high carbohydrate and sugar diet. Working at a bakery and then at an ice cream shop in my youth I consumed a high amount of baked goods and a ton of ice cream. Then, for five years I was vegetarian, in which the bulk of almost every meal was a grain. This high carbohydrate/sugar diet had led me to become reactive hypoglycemic. It was so bad that I could eat chocolate and fall asleep within 5 minutes. I actually started to plan my desserts for bedtime knowing that I would immediately crash! This is a classic example of reactive hypoglycemia, and it became clear that my future health was in peril if I didn’t change my ways, and quickly. Having difficulty concentrating, and sugar cravings. Sugars, carbohydrates and starches can be used almost interchangeably when we are referring to how they react in our body. Why? Because they all break down (at least partially) as sugar in your body, whether or not they are complex or simple, wheat or rye, table sugar or maple sugar. Now, there is a whole discussion to be had about the nutritional value of grains vs. table sugar, modern hybridized wheat vs. ancient grains, processed baked goods vs. fermented and sprouted breads and so on. But that is a discussion for future post. Here, I am talking about the insulin reaction, the glucose to glycogen to fat storage, and how this relates to your health. When you ingest dietary carbohydrates/sugars/starches, they break down into glucose (among other things) and your pancreas is signaled to release insulin. Insulin converts glucose to glycogen and moves it into the cells where it is stored in the liver and muscles. However, when the liver and muscles are saturated and have no more room to store the glycogen, insulin converts glucose to be stored as fat instead. When you have stable blood sugar, you should not get fatigued between meals, or after meals. When your body needs food, you should feel hungry, but not tired. This is because your body should be able to switch between burning glucose to burning fat seamlessly. But if you have excess insulin in your blood, you cannot burn fat and you get fatigued because your body and brain are starving. When you consume sugar on a regular basis, insulin can be released in excess, this causes the blood sugar level to drop below a functional range and is called reactive hypoglycemia. Eventually your cells become desensitized to insulin and stop allowing it access. This is called insulin resistance. This leaves consistent high insulin in your bloodstream which has a whole host of problems. For example, when insulin is in your blood you cannot burn fat! Contrary to Popular Belief, Fructose is No Better Than Glucose. 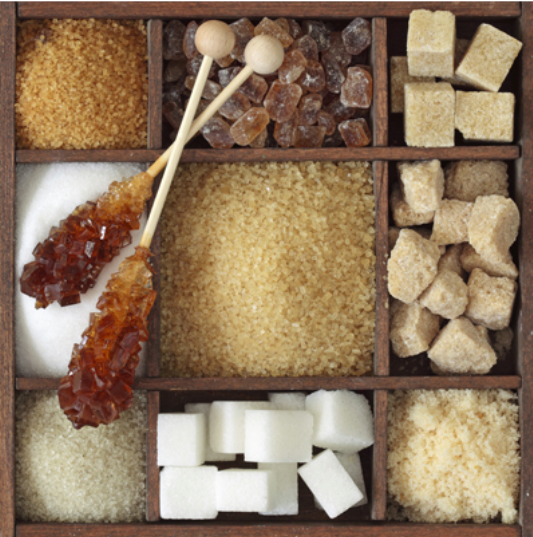 In fact fructose turns to fat faster than any other sugar, can lead to liver damage and increases your appetite. Table sugar is half fructose, half glucose. Something like agave nectar actually is 90% fructose. For this reason it doesn’t spike blood sugar in the same way, but it is extremely damaging to the body, causes rapid weight gain, and acts similar to alcohol on your liver. When you ingest dietary carbohydrates, your pancreas is signaled to release insulin. Insulin converts glucose to glycogen and moves it into the cells where it is stored in the liver and muscles. However, when the liver and muscles are saturated and have no more room to store the glycogen, insulin convert glucose to be stored as fat instead. When you have stable blood sugar, you should not get fatigue between meals, or after meals. When your body needs food, you should feel hungry, but not tired. This is because your body should be able to switch between burning glucose to burning fat seamlessly. But if you have excess insulin in your blood, you cannot burn fat and you get fatigued because your body is starving. About the Author: Jamie Holland is a licensed acupuncturist and applied clinical nutritionist. He is the cofounder of Lakewood Community Acupuncture, the first non-profit community acupuncture clinic in Colorado. He is committed to offering affordable holistic healthcare and is always striving to embody the healthy lifestyle he encourages in his patients by being active in meditation and community, healthy eating, organic gardening and enjoying the outdoors with his wife, Kate, and their dog, Luna.